Bourjois is rapidly becoming one of my favourite high-street brands, thanks to a succession of very successful hauls. 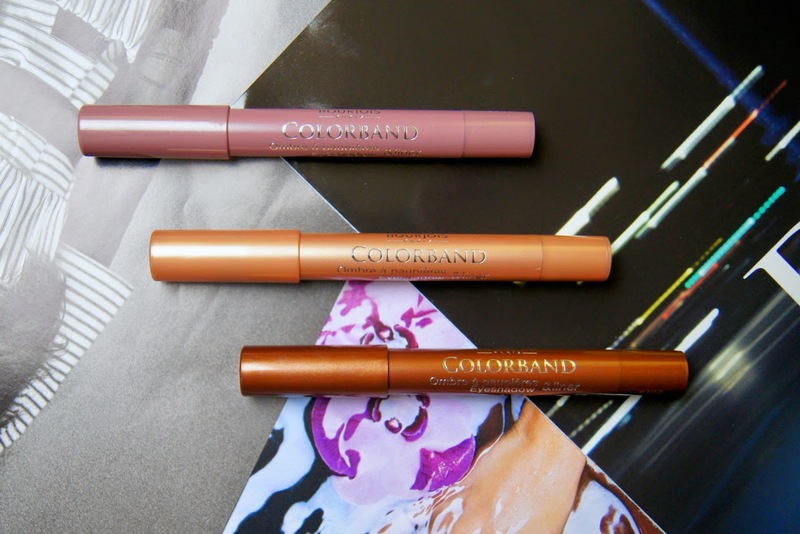 So, when I saw the release of the Colorband Eyeshadow & Liner Sticks, I couldn't wait to get my hands on them. With the summer fast approaching, I'm already thinking ahead to makeup looks and I'm all about cream formulas when the weather starts to heat up. 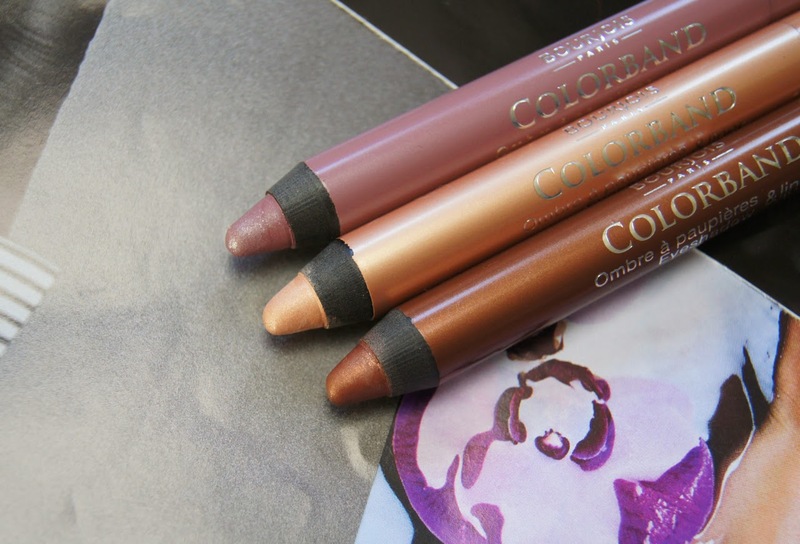 With the hope that these shadow sticks would be the perfect addition to my holiday, makeup bag, I picked up three of the six shades on offer. Cream eyeshadow sticks aren't anything new for the beauty market, even for the drugstore brands, really. But, Bourjois' newest release doubles up as a cream shadow and liner, in one. 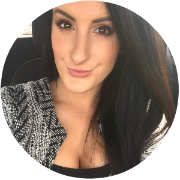 Feasibly, you can create a complete, eye look from the single product, albeit a simple one. Claiming to be waterproof and smudge-proof, with 24 hour hold and comfort, they sound ideal for the summer, when things get can a bit hot and sweaty, skin isn't as dry and the sun, sea and sand are calling (if you like to wear makeup when you're on the beach, of course). The Colorband eyeshadow sticks are a crayon-type product and the pointed nib of them makes it easy to create the exact shape you want with your eyeshadow. As they're the perfect size to fit into the crease of the eye socket, contouring and adding depth to your look is straightforward. Realistically though, I find they're a bit too chunky to easily use on the waterline, without the risk of blinding yourself. When the crayons have a pointed nib, defining the lash-lines with a precise stroke is possible, but as the pencil wears down, that becomes more difficult. Obviously, if these pencils had a twist-up mechanism, then they would always remain frustratingly blunt, but I find sharpening sticks like these such a chore. Plus, lots of product is wasted this way and it's sometimes difficult to find a sharpener to actually fit them. In terms of texture, the light formula feels quite gel-like, but it's quite firm and not as creamy as I'd personally like. But, that gives them an advantage. Because the formula isn't too soft, you never apply too much and the eyelids don't feel weighed down when wearing the product. You have to work quickly with these crayons, as the colour solidly sets into place and becomes difficult to blend, very quickly. It's best to work on one eye at a time, to avoid being left with harsh edges. Once I've swiped on the colour and swiftly blended it out, it literally will not move, crease, smudge or flake until I remove it. Whilst a lot of similar, cream products may be long-lasting, these are by far the most durable, resilient versions I've tried. I can well believe that they would last for an entire 24 hours, but realistically, who would honestly expect (or want) their makeup to stay perfect for that long? Fortunately, a splash of micellaire water or makeup remover is enough to wipe the product away, without needing to scrub at the delicate eye area. Best for giving the eyes a subtle wash of colour, the pigmentation isn't mind-blowing after just one application. To get a strong payoff, you need to take the time to sandwich a couple of coats, blend and really build up the colour in light layers. Usually, I'll buff a little foundation over my eyelids to even out any discoloration, before using eyeshadow, but that doesn't work when using the Colourbands. They glide onto bare skin, whether it's been primed or not, much easier and the finish is much more intense. Otherwise, it really takes some effort to get the colour to show up, especially with the lighter shades and they can drag the eyelid which isn't the most comfortable experience. Out of the six shades on offer, I picked up three. From what I've seen, all of the shades have a shimmery, metallic look to them, bar one. In the range, along with the three I chose, there's also a matte black, a peachy-pink and a smokey, navy-grey and I'm definitely tempted to go and complete my collection, after trying them out. Out of the three I have, 02 Brun Dadaiste is my favourite (surprise, surprise, I love my deep, brown shades). A rich, chocolate brown with a generous helping of golden shimmer, this seems to have a very slight plum undertone to it when blended out. Whether I use it alone, or pair it with another shade, it's stunning. 03 Beige Minimaliste is a pale, golden champagne shade. It can be a struggle to get this to show up on my skin, but it makes a lovely highlight. Rather than being glittery, this shade has more of a frosted finish to it. Finally, 05 Mauve Baroque is a cool-toned lavender shade, which is saturated with a strong, silver shimmer. This gives the eyes such a sparkling, watery look to them which is gorgeous and it really intensifies the brown colour of my eyes. Despite being a drugstore product, the quality hasn't been compromised. Priced at £5.99 each, these cream eyeshadows are a much cheaper alternative to some of the similar, high-end products that people are going crazy for, at the moment. 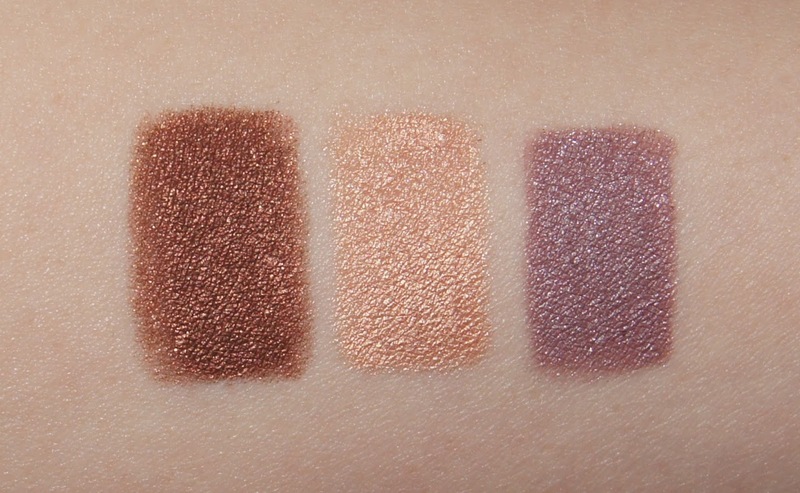 Do you like using cream eyeshadows? I'm dying to try the mauve out, but the entire collection looks stunning! Can you twist them, or is the eyeshadow only that top of a pencil?